Dylann Roof Pleads Not Guilty To Federal Hate Crime Charges : The Two-Way The 21-year-old is accused of carrying out the ruthless attack that killed nine worshippers in a historic black church in Charleston, S.C., last month. Dylann Roof, 21, charged with murdering nine worshippers at a historic black church in Charleston, S.C., in June, listens during court proceedings earlier this month. A judge entered pleas of not guilty to 33 federal hate crime counts against Dylann Roof, the white suspect accused of gunning down nine parishioners at a black church in Charleston, S.C., last month. Roof's attorney said his client wanted to plead guilty, but that he advised against the move until it was known whether prosecutors would seek the death penalty for the June 18 mass shooting at Emanuel African Methodist Episcopal Church. "During a brief arraignment in federal court, defense attorney David Bruck said that he couldn't advise his client, Dylann Roof, to enter a guilty plea without knowing the government's intentions. "U.S. Magistrate Judge Bristow Marchant then entered a not guilty plea for Roof, 21, who faces federal charges including hate crimes, weapons charges and obstructing the practice of religion. Appearing in court in a gray striped prison jumpsuit, his hands in shackles, Roof answered yes several times in response to the judge's questions but otherwise didn't speak." As the Two-Way reported last week, the federal indictment "also says Roof created a website, thelastrhodesian, where he posted a racist manuscript and photographs of him "wearing a jacket with flags of two former apartheid African nations, displaying his Glock .45-caliber pistol, and holding a confederate flag." 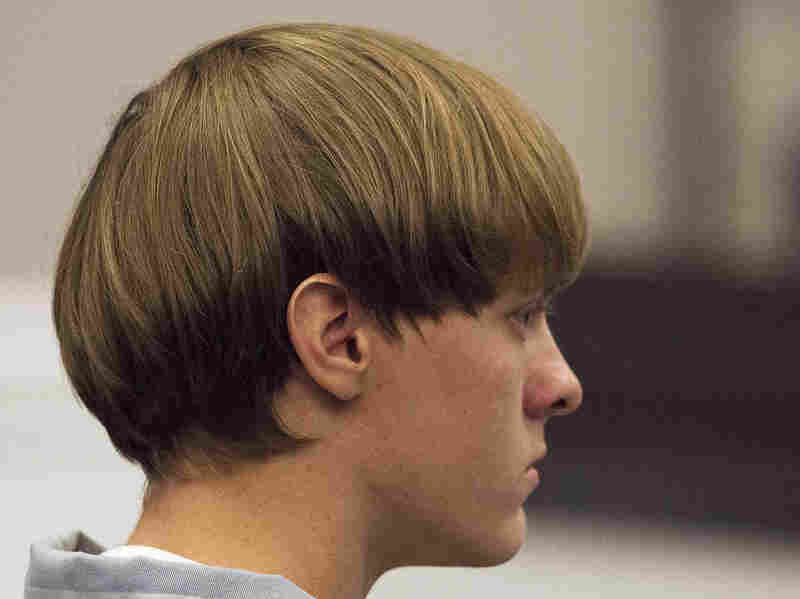 In addition, Roof faces nine counts of murder as well as attempted murder and weapons charges.